Bosch Professional Jigsaw features an innovative design that gives you great results. 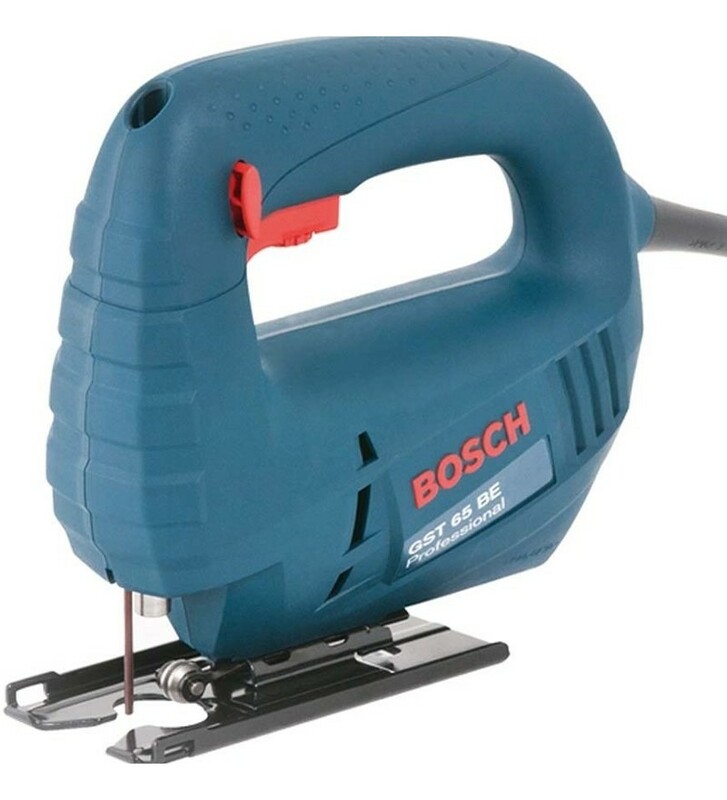 Know more about the Bosch jigsaw on Souq. 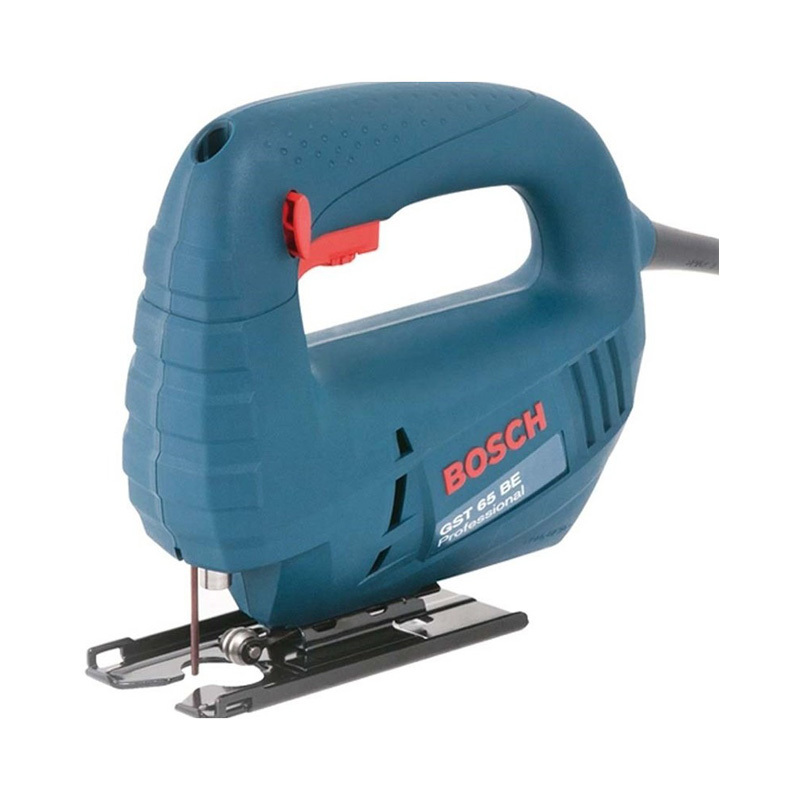 The Bosch GST 65 BE Professional Jigsaw is a powerful tool that will help you cut materials like wood, metal, etc. with high precision. An innovative design combined with excellent features is what makes this jigsaw an important part of your tool box. It requires 400W energy to operate efficiently. This jigsaw is corded and weighs 1.7kg. It features a sturdy trumpet cable design that ensures this tool serves you for a long time. It is designed with a two-way lock button that makes it ideal for both, left and right handed users. This jigsaw ensures an optimal view of cutting line, so you get perfect results. This tool is designed in a manner that cuts the material fast and efficiently. Also, the results are free of splinters. This tool comes along with a safety pin. The Bosch Professional Jigsaw features a two-way lock-on button. This button makes the tool perfect for use by left and right handed users. It weighs 1.7kg and features an ergonomic design for convenient use. 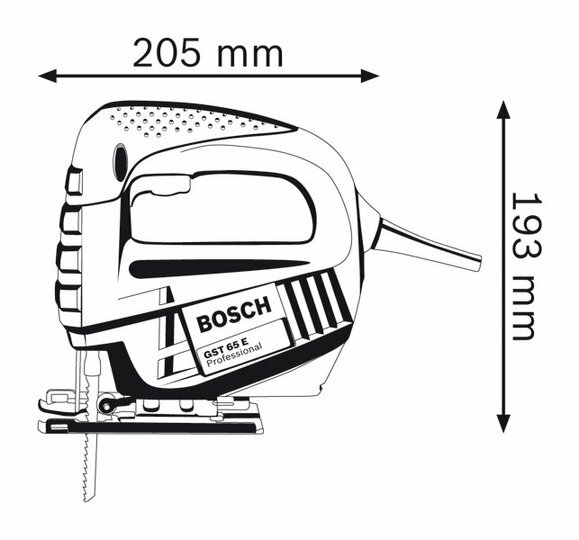 This Bosch jigsaw gives you the perfect view of the cutting line, thus ensuring excellent results. Its innovative design and advanced features help it work with speed and efficiency. This corded jigsaw requires 400 watts energy for operation.